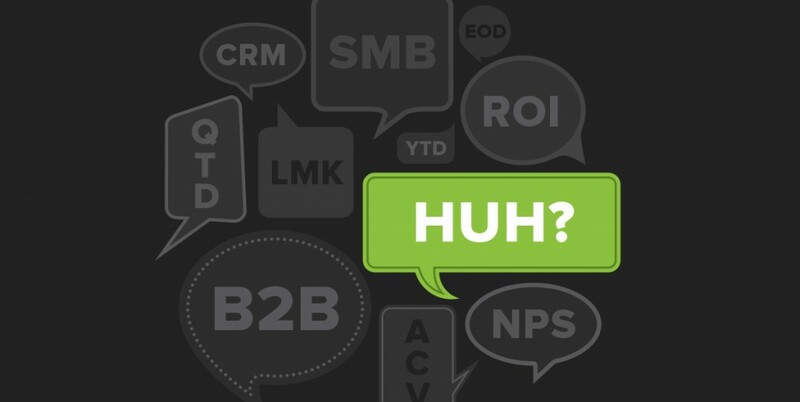 Are there any B2B sales acronyms you’ve wondered about? Sales shorthand is incredibly extensive. So, we decided to track down the most common and sometimes confounding phrases you’ll hear on the sales job. We’ve collected and defined over 100 B2B sales acronyms and commonly used terms, complete with quick navigation to help you find the lingo you need to know. Feel free to bookmark this page for the next time you’re trying to decode sales-speak. 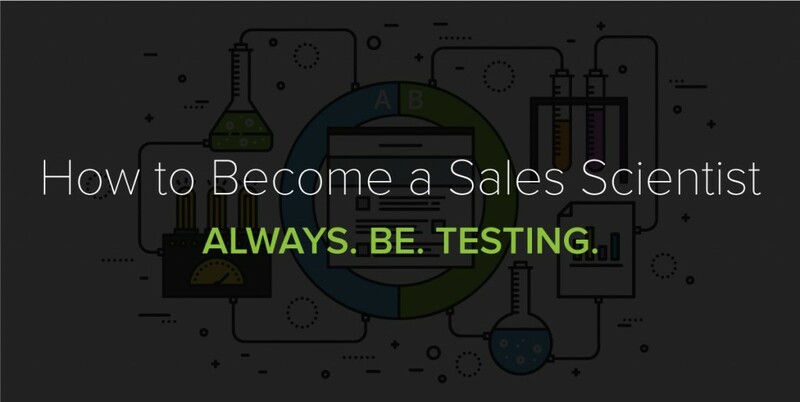 Become a faster B2B sales person with email tracking + time-saving tools. Cold email formula that uses cause-and-effect reasoning to build trust and persuade someone to take action. Compares two versions (version A and version B) of something to see which one performs better. For example, you can see which subject line performs better by sending two variations to prospects over a set period of time. The one that gets more opens, replies, etc. wins. A department responsible for paying a company’s bills on time. A department responsible for sending a company’s invoices to customers as well as collecting payments and handling disputes. New to sales? We’ve got you covered—sign up for our free 7-day crash course. The financial amount that a customer pays a SaaS company per year based on account subscription agreements. Sales team members that close deals with sales-qualified opportunities. A method of motivating people to buy by gaining their attention, interest, desire for the product, and then inspiring them to take action. AIDA is often used in direct response ads, and can be surprisingly effective in cold emails. A sales role responsible for managing a large customer account or group of large accounts. Across all accounts, the mean amount of revenue per month. Used most often in businesses where contracts are one year in length. ARR = 12 x MRR (monthly recurring revenue). Businesses that sell their products straight to the consumer. A toy manufacturer, for example, would be a B2C company. Companies that sell products or services to other businesses, but sell first to users and/or stakeholders at that business in order to get company-side buy-in. Cold email formula. Open by describing a problem that is relevant to your prospect, and then describe how the world would be different if that problem didn’t exist. A formula used to determine whether it’s the right time to sell to a prospect. Either the process of, or the team charged with developing working relationships and growth opportunities within organizations. A specialized sales role that is responsible for pursuing new partners and business opportunities. A broad term for data sets so large that traditional data processing applications are inadequate. With the rise of big data comes tremendous opportunities for managers at B2B firms to improve sales productivity through detailed customer profiling. The percentage of email addresses that didn’t receive the message you sent because the message was returned by the mailer server or client. A representation of your ideal customer that describes who they are, what their objectives are, what motivates them, how they think, and where and when they buy. Cost to acquire a customer. To calculate: (spend + salaries + commissions + bonuses + overhead) / #of new customers during that time period. A US law that sets the rules for commercial emails, giving recipients the right to have a business stop emailing them. It also outlines the penalties incurred for those who violate the law. The amount of operational activity money that is currently being transferred into and out of a company. A metric used to measure customer retention and value. CR = (# customers at beginning of measurement period – # customers at end of measurement period) / (# customers at beginning of measurement period). A prediction that connects net profit to the entire future relationship of a customer. Historically has referred to 5pm, but often used interchangeably with EOD (end of day). Phone call to a potential customer that you’ve had no prior contact with. The amount that a salesperson makes on top of his or her base salary. Commission structures can be based on the percentage of a closed deal, a standard amount per sale in a set time period, or a team-based percentage of total sales over a set time period. The number of people who take an action, divided by the number of people who could have. For example, if you send emails to 100 prospects and 25 of them reply, your email has a 25% conversion rate. Software designed to help businesses manage customer data and customer interactions. For example, Salesforce.com is a type of CRM platform. The process of identifying current customers, determining the product or services that they aren’t using, and encouraging them to buy based on their need and a pre-existing satisfaction with the company. All the interactions a customer has with your business. This could involve usage of your product, engaging with your website, communicating with your sales team, etc. Typically included in an email subject line to indicate there’s nothing in the body of the message. A company that helps senders create and deliver email campaigns. An acronym used to remind salespeople to focus on the benefits a customer will gain from the product, rather than on what they’re selling. A 12-month duration used by a company to mark its accounting period: budgeting, forecasting, and financial reporting. This does not necessarily align with the calendar year. A sales method used to dissuade customers from choosing or remaining with competitors by giving information that triggers fear and uncertainty. Get in on the secret behind sales productivity at Doordash, Looker, and Square. A description of the customer you’re trying to sell to, including demographics, geographic, and psychographic characteristics. The growth rate at which inbound leads are increasing. Leading indicators or signs that your sales team is doing the things they need to do in order to be successful. Sales KPIs could include lead response time, opportunity-to-win ratio, call connect rate, etc. A customer engagement model that integrates metrics, processes, and goals to acquire new customers, up sell current customers, and grow overall revenue. Objection handling technique. Changing Minds does a great job breaking down each of the steps in more detail. Another objection handling method. First you listen to their concerns and objections, and then echo back what you heard to show that you understand. Identify the objection that is their primary reason for not buying, and then reframe that objection to show that the truth is opposite of what they think. A role responsible for connecting with prospects at the early stages of the buying process. A contact that matches one or more of the characteristics of your ideal customer profile. A number scale that sales and marketing teams agree on to rank inbound prospects according to their behaviors and web activity. A certain number signifies that the lead is ready for sales to reach out. LTV = (average MRR per account x customer lifetime)/Customer Churn Rate. How much a company is growing with its qualified leads, month over month. Technology that helps sales and marketing organizations convert prospects into customers by replacing high-touch, repetitive manual processes with automated solutions. Marketo and Pardot, for example, are two commonly used marketing automation platforms. The financial amount gained from a product or service after factoring out selling expenses. Changes in levels expressed in relation to the previous month. MoM changes are typically more volatile than quarter-over-quarter or year-over-year and tend to reflect one-off events like holidays, economic troubles, or natural disasters. A lead that has demonstrated some level of interest in your product/service, and fits criteria determined by the marketing team that indicate it is more likely to become a customer as compared to other leads. Inside sales reps tasked with following up with leads that have engaged with marketing content. A period starting at the beginning of the current month, and ending at the current date. A customer satisfaction metric that measures the likelihood that people would recommend your business to others. NPS is measured on a scale of 0-10, with zero being least likely to recommend and 10 being most likely. Standards that define and track outcomes through qualitative (objective) and quantitative (key results) methods. OKRs were originally invented at Intel and are used today by many companies to track employee performance, including Google. A statement used to assess a company’s performance and financial position. It lists income, expenses, and the resulting net profit or loss. Change in level expressed in relation to the previous quarter. QoQ numbers are typically more volatile than Year-over-Year, but less volatile than Month-over-Month numbers. The time period starting at the beginning of the current quarter and ending at the current date. A set amount of selling that a salesperson or sales unit (i.e. territory, team, etc.) is expected to meet over a given time frame; it reflects a company’s overall sales target. A measurement of a number of people who respond to an email. An invitation issued by a company to solicit vendor bids for products, solutions, or services. Here’s a free business proposal template so you can get started faster when you receive a request. What you get back from an investment of money, time, or talent. Businesses that offer services via software available online or downloaded to your computer. 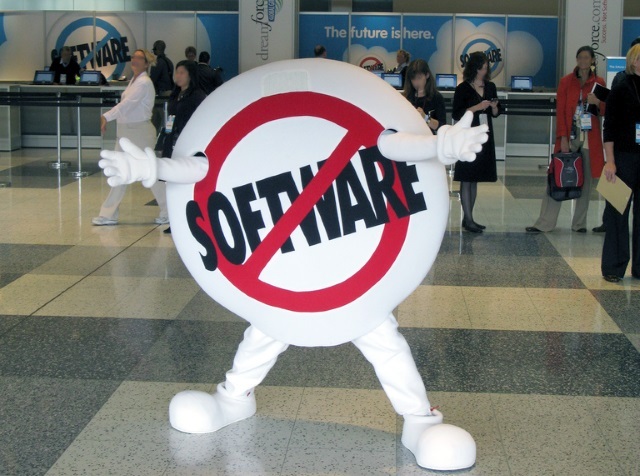 For example, Yesware is a SaaS company. A lead that has been accepted by the sales team because it has been been deemed worthy of pursuing. A category of cloud-based software designed to help sales reps sell faster and more effectively. An event that creates an opening for a sales opportunity. For example, a company announcing that it’s expanding to a new location could present an upsell or introduction opportunity. A type of inside sales rep that focuses on outbound sales prospecting. Software that removes the need for manual sales activities like inventory control, sales processing, tracking customer interactions, and analyzing forecasts. A contract between two departments that aligns goals and defines agreed-upon expectations. A Marketing SLA, for example, outlines expectations the Sales team has for Marketing with regards to lead quality and lead quantity. Used for clearly defining set goals by thinking about what active steps are necessary in order to achieve them. Describes a business with annual revenues between $5M and $200M. Also refers to companies with either 100 or fewer employees (small), or one with 100-999 employees (medium-sized). Social selling is when salespeople use social media to gather insights, build a professional brand, and interact directly with their prospects. A “hurt and rescue” approach to selling. You find your prospect’s problem and “hurt” them by revealing the terrible things that might happen. You then come to the rescue with your product. For more details, check out this SPIN selling blog post we wrote. It recaps the details of the book, covers the caveats you need to be aware of, and explains how the strategy has transformed since it was first developed three decades ago. An SQL is the sales team affirming that it’s a good lead with a potential opportunity. The next step after SQL could be Opportunity, where the AE decides to move them to the next meeting, which kicks off a multi-stage sales process. A model used to identify an organization, person, or offering in terms of what it is doing well and where/how it can improve. This helps to outline objectives and define future actions. A helpful reminder to ask open-ended questions that prompt prospects to give you information surrounding their requirements and needs. Open-ended questions generally being with the 5 W’s: who, what, where, when, and how. A system that enables voice transmissions to be carried over the Internet. Often used to describe calling systems known as softphones or browser phones. An easy way to remember a basic principle of persuasion and influence: If there’s nothing in it for the other person, they’ll never commit to action. Information passed from person to person. A period starting at the beginning of the current year, and ending at the current date. Over to you—any sales acronyms we missed? Feel free to tweet us (@Yesware) so we can make this resource even more helpful for you!